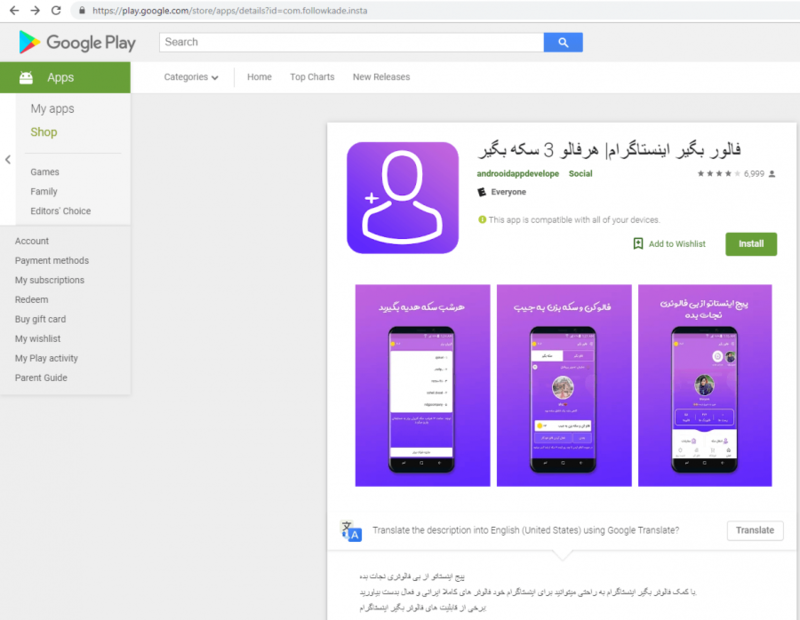 Three apps on Google Play claiming to help Instagram users amass followers have been found stealing usernames and passwords for the social photo service. 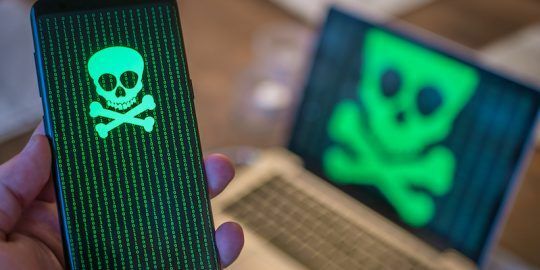 The fake apps were uncovered by Malwarebytes, and are still available, according to Nathan Collier, a security researcher with the firm. He said that three apps, called Followkade, LikeBegir and Aseman Security, specifically target Iranian users. After install, the apps open a page asking for Instagram credentials; they legitimately log the user into Instagram – but also send the credentials to a malicious, attacker-controlled website – something Collier uncovered by analyzing the traffic with a simple network scanner. “There was some additional network traffic going on here,” he said. LikeBegir has a 4.8-star rating by 440,404 reviewers, Followkade for its part has 50,000+ installs, and rates an average four stars in reviews by 6,999 total respondents – meaning that Google Play browsers that try to determine the app’s legitimacy would have a hard time of it. Some one-star reviews do offer a red flag: “The rubbish of the program I’ve used so far. Meanwhile, it also has a security problem keeping the password in its own site,” one LikeBegir reviewer said. Google took the apps down quickly. It’s worth noting that Google continues to crack down on rogue apps; it recently said that the number of app submissions that were rejected on the app marketplace increased by more than 55 percent in 2018. The number of app suspensions on Google Play also jutted up by 66 percent in 2018. While these particular apps are hyper-targeted regionally, they bring up the fact that social-media activity should be undertaken with caution – and that shortcuts are often a path to compromise. Don’t miss our free Threatpost webinar, “Data Security in the Cloud,” on April 24 at 2 p.m. ET. 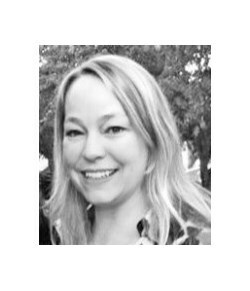 A panel of experts will join Threatpost senior editor Tara Seals to discuss how to lock down data when the traditional network perimeter is no longer in place. They will discuss how the adoption of cloud services presents new security challenges, including ideas and best practices for locking down this new architecture; whether managed or in-house security is the way to go; and ancillary dimensions, like SD-WAN and IaaS. Google Play has removed 25 malicious apps that were downloading spyware, dubbed Exodus, onto victims’ phones. 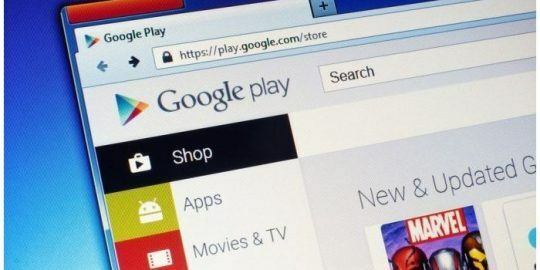 Google has snagged three security and privacy certifications for Google Play as it tries to appeal to enterprises despite numerous malicious apps and security issues.